Breaking the hold of quick, processed foods can be hard. 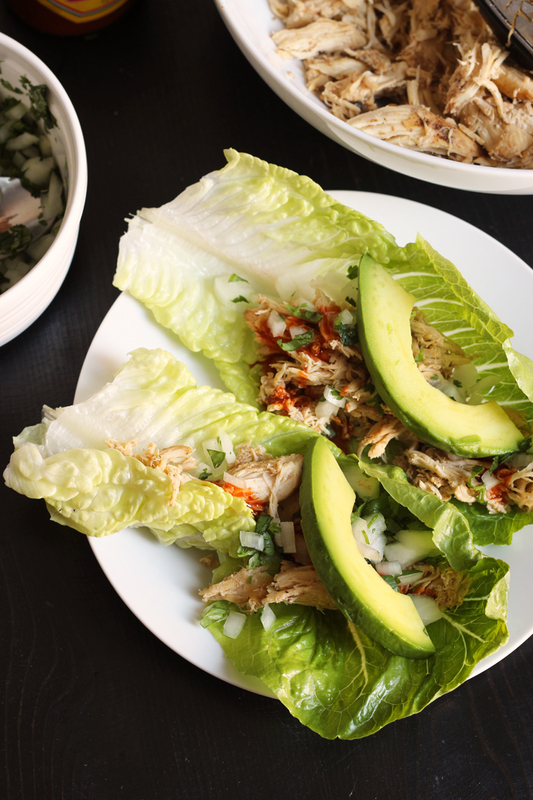 Try these Quick Whole 30 Dinner Ideas to eat real good food, real quick. One of the reasons that our culture is hooked on convenience foods and take-out is that these foods are quick. They’re easy. They don’t take a lot of work. Instant gratification, my friend! We all know that the days are busy, and it’s hard to carve out time to prepare a really good meal. It’s even more difficult when you’re tackling an elimination diet like the Whole 30 or making other diet changes that go against the grain of your culinary habits. While home cooked will always take a little effort, it doesn’t need to be a crazy chore. 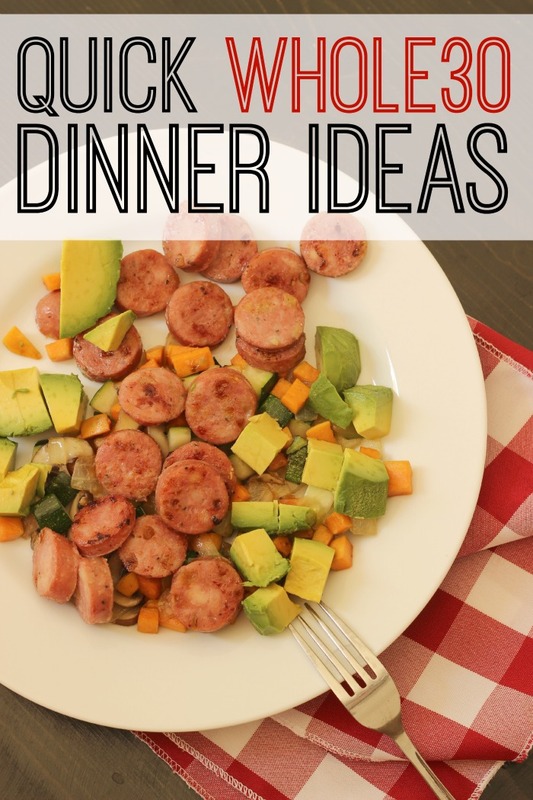 Consider these Quick Whole 30 Dinner Ideas to help you enjoy a good wholesome meal without spending a ton of time. 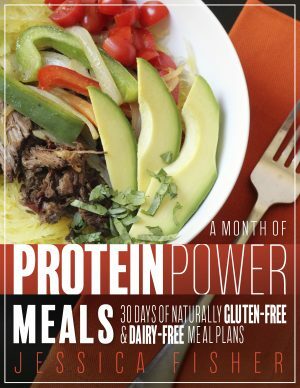 Get a month’s worth of Whole 30 recipes, grocery lists and prep tips in my newest Month of Protein Power Meal Plans. This meal plan provides you with all the tools you need to enjoy 30 dinners of naturally gluten- and dairy-free deliciousness. No weird ingredients or soaking required. It will make your life so much easier! Remember: any time you’re changing up your diet, trying out better eating habits, or just want to save money, doing a little prep work in advance can help you bridge the gap between busy schedule and hungry tummy. My post over on Life as Mom this week offers tips to Organize Your Meal Prep. A little planning ahead can save you so much at meal time. You could prep salad a different way every day and not get bored — providing you use fresh ingredients and mix things up a bit. 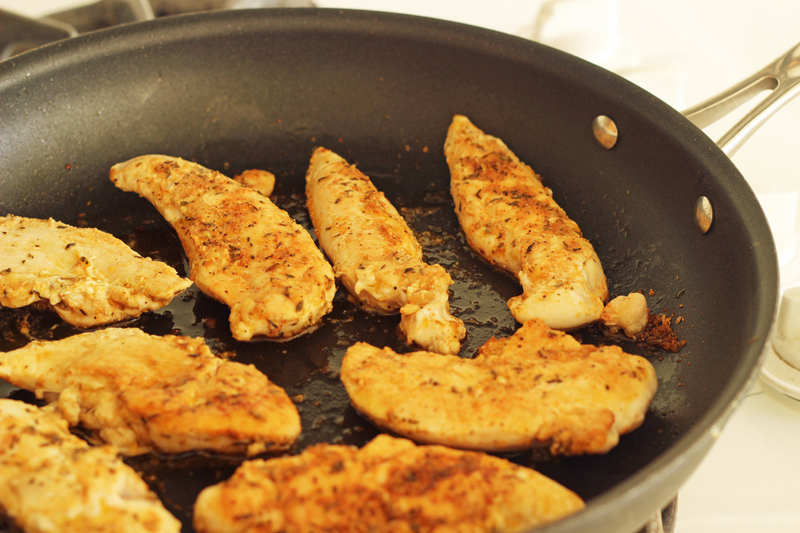 I love chicken tenders for their quick and easily portioned preparation. I keep bags of these frozen chicken tenders on hand all the time. They can be cooked from frozen! Season heavily with one of these homemade spice mixes for great flavor and then serve on a salad or a bed of veggies. 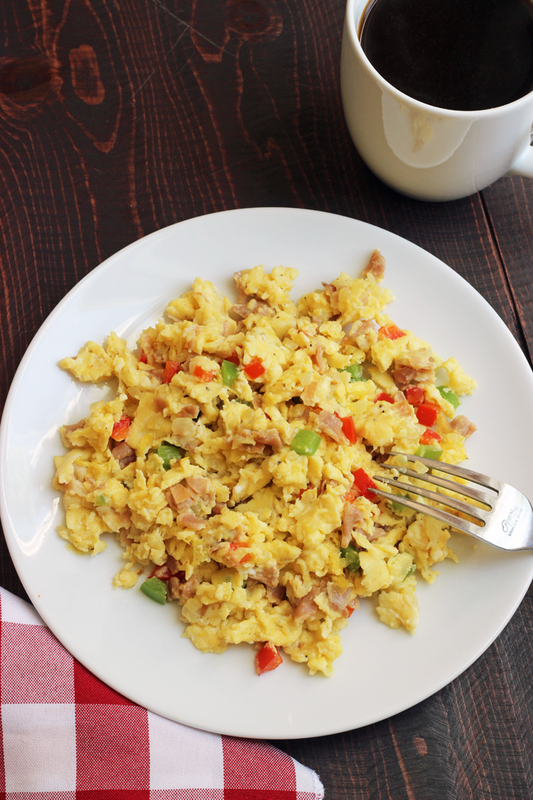 It’s so simple, you’ll be surprised how great it tastes! 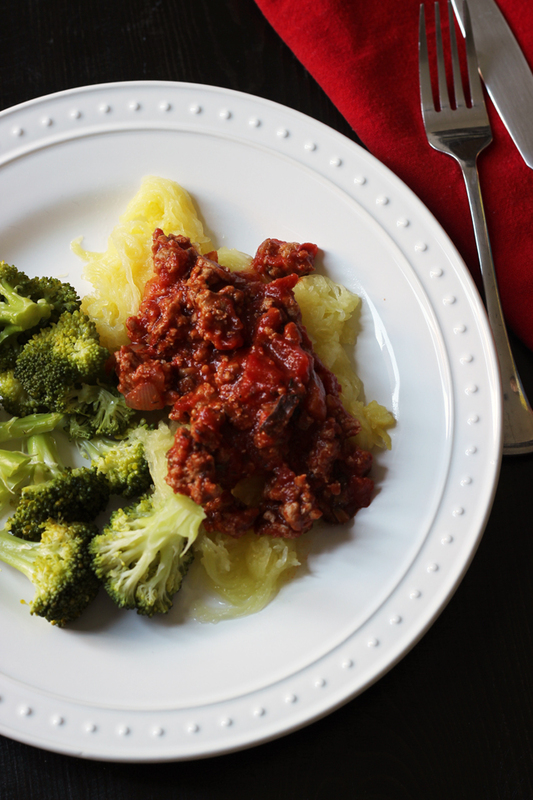 See this tutorial for cooking a spaghetti squash in 7 minutes and then top it with whatever meats and veggies you have on hand. Yum! Want more tips to make meals good and cheap? Get the newsletter! Sign up for the Good Cheap Eats newsletter so you can get all the dish on how to eat well, act your wage, and enjoy your life! A great skillet with a lid – I love this one because of its size and its non-stick, yet hard-to-scratch surface. Treating myself to a second one in the new year. Ergo Chef cooking tongs – These are great for grabbing food quickly and easily. Salad spinner – Don’t waste time drying salad greens. Spin them dry! While you can’t wave a wand and have food magically appear — oh wait, that’s called going to a restaurant — you CAN make some quick, healthy meals at home. 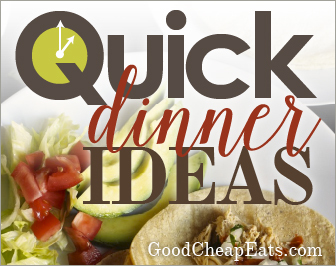 I’d love to hear what quick whole 3o dinner ideas you lean on. 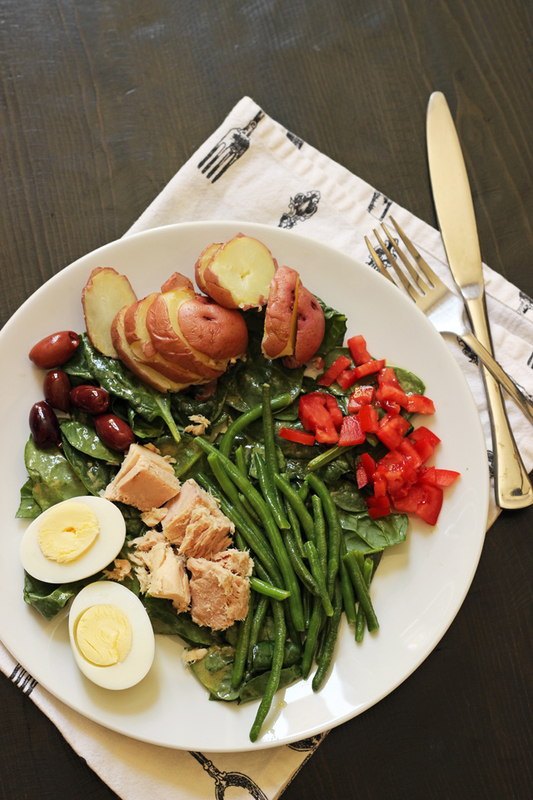 Got any great Whole 30 Dinner Ideas that are quick and easy? Be sure to read the entire series: Quick Dinner Ideas. I am so thrilled! I just started the Whole30 today and you are always my “go to” and you don’t disappoint! Thank you for all of this. Do you have a great recipe for hash with white potatoes? Do you mean regular potatoes or white sweet potatoes? If the first, then this: https://goodcheapeats.com/2010/10/baked-potato-homefries-leftovers-find-new-life/ If the latter: https://goodcheapeats.com/2013/03/sweet-potato-hashbrowns/ Just don’t overdo the white potatoes while on the Whole 30. It’s currently “legal” (it wasn’t the first time I did it), but you don’t want to overdo. With what protein source? Eggs would probably be good with that. Seriously, these kinds of recipes are what I have been looking for! Thank you so much for these ideas, I can’t wait to make my busy life easier. So excited!